I’m calling this the occasional blog because it will be very occasional. If you espy a blue moon, then there’s a chance a blog post might be waiting here. The purpose of the occasional blog is to share, from time to time, updates concerning the strange and bizarre occurrences that have been known to take place when I write my stories. And sometimes, the strange and bizarre occurrences that take place inside my stories. And sometimes, about the writing of strange and bizarre stories. On these blue moons, I shall share pictures like the one above. 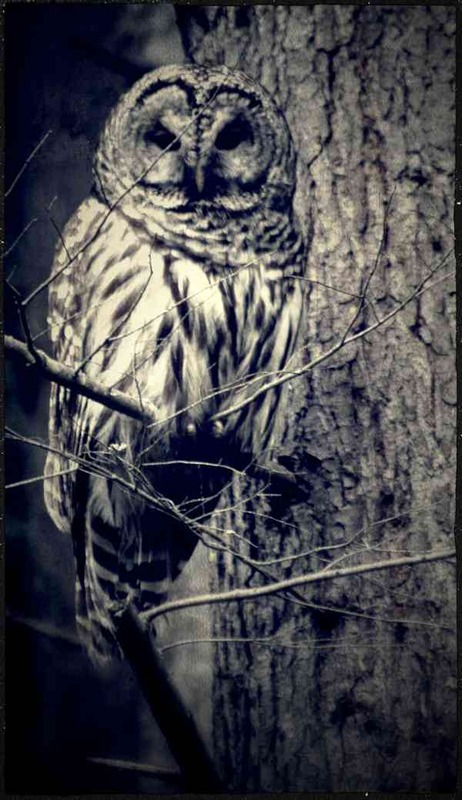 Which was the very owl I discovered staring at me through a window as I wrote a story including a rather unpleasant, skull-faced owl.